Gap alert! EUR/JPY gapped higher over the weekend, enough to jump from the 116.50 area all to way to the 118.00 handle. What makes this interesting is that it’s near the falling trend line that has been holding since the start of the month. Not only that, but it also lines up with a 100 SMA retest on the 1-hour time frame just as stochastic is hinting at a bearish divergence. 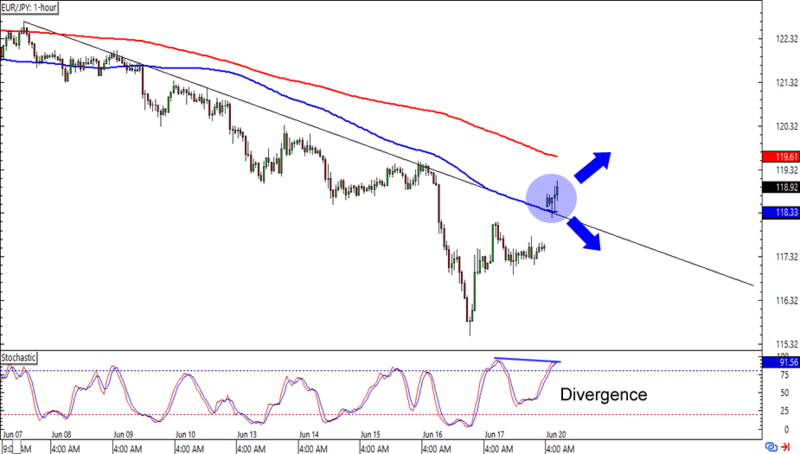 Will EUR/JPY go on its merry way up or will the bears step in and force a continuation of the downtrend? Remember that Fib play that we spotted last week? Well, looks like it worked out pretty well! 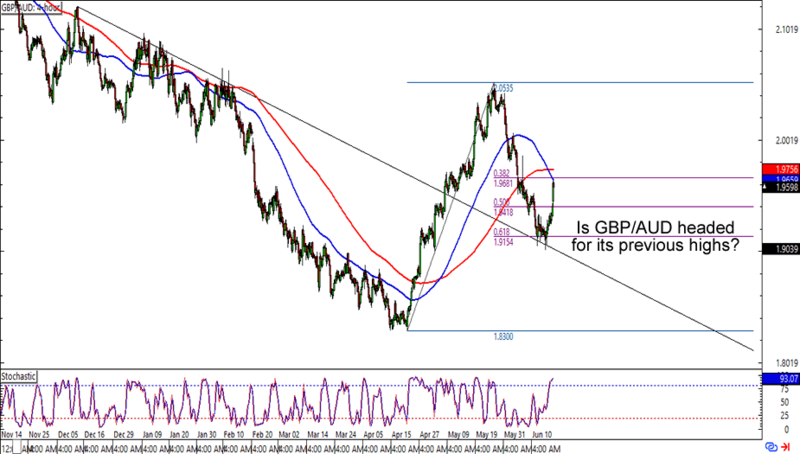 Right now GBP/AUD is back at the 1.9600 levels, which is where the 100 and 200 SMA area. What’s more, stochastic has reached the overbought region. Think the pound is about to head lower against the Aussie? Or will the currency continue its bounce all the way to its previous highs? Either way, make sure you keep your eyes on the SMAs, as the 100 SMA had just crossed below the 200 SMA and could hint at a shift in the pair’s short-term direction. Rounding up this batch of charts is another Fib play, this time on EUR/GBP’s 4-hour time frame. The pair is about to reach the .7700 levels, which has been an area of interest for the pair since mid-April. 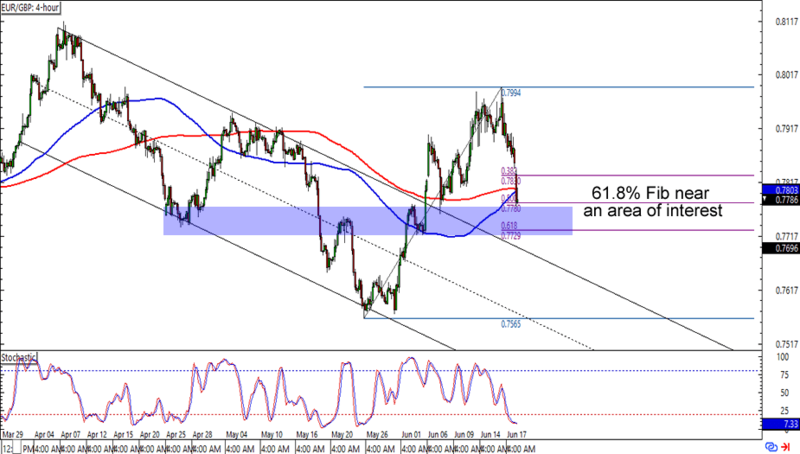 This time around the level also lines up with the 61.8% Fib and a retest of the broken falling channel resistance. The cherry on top of this setup sundae is an oversold stochastic signal. Keep close tabs on this one, forex brothas!